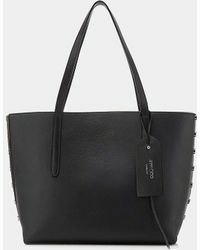 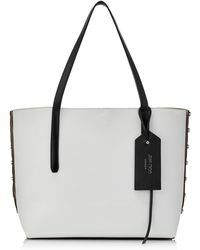 For days where you just need to throw it all in and go, forget your canvas tote and reach for a Jimmy Choo Twist instead. 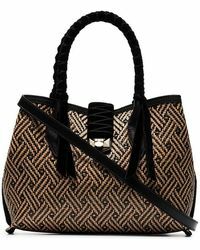 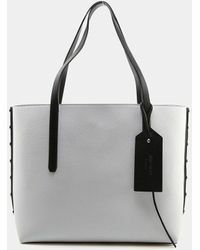 Coming in a spacious tote style, the Twist is finished in a range of colors and materials so you don't need to compromise on style, even when you're in a hurry. 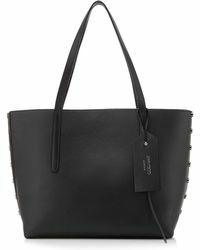 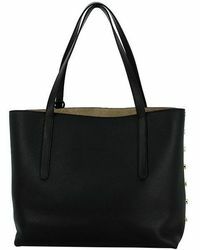 Use a denim Twist bag for weekend shopping and keep a black leather Twist for the mid-week commute. 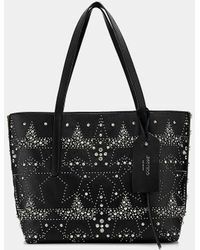 Twist East West Tote Bag Star Studs Leather Pink 90042781..